Relaxing Massage! Thermal bath and massage is the absolute relaxation! Try it yourself, in Agiasmata! THE HOT THERMAL WATER GIVES HEALTH AND WELLNESS, TO EVERYBODY, YOUNG AND OLD Υou tried it? Daily from 9.00 am to 7.00 pm, except Mondays. Last bath at 6.15 pm. Monday, open only to those staying in Agiasmata. The hot thermal bath should be done on an empty stomach (about 3 hours after eating). 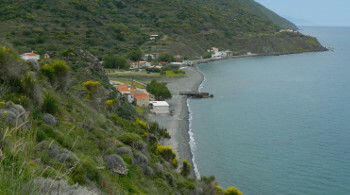 From the central square of the city of Chios take the road to Volissos. The route includes the driving through the winding road of mt. Epos (altitude 372 m.), during which you can enjoy the stunning views of the city of Chios and the sea. Arriving in Volissos you have the option to drive through the village for a coffee break or skip it and continue to Agiasmata. The mineral water of the hot spring in Agiasmata is beneficial to arthritic and other diseases. It has been certified by National Tourist Organization of Greece as a healing thermal spring. Agiasmata is an ideal place for thalassotherapy through inhalation. The valley of Agiasmata is an area of outstanding natural beauty with rich flora and fauna. 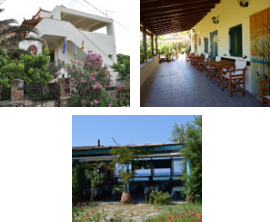 Visit the winery "Ariousios Wines"
We are a group of businessmen and businesswomen and others who have set the goal to promote Agiasmata as a place of thermalistic tourism, a place of healing, wellness and rejuvenation. The social enterprise cooperative "THERMAE AGIASMATA", is our vehicle to seek the collective benefit and to serve the broader economic and social interests in the valley of Agiasmata. Our positions and demands for the development of Agiasmata as a thermalism center – spa.